Steamed Steamed is dedicated to all things in and around Valves PC gaming service. This week at the Game Developers Conference in San Francisco, Valve announced a number of changes that will soon be coming to Steam. Key features include a revamped game library and an event system that allows developers to keep players up to date on what's happening in their own games. Alve Kroll of Valve described in a press conference on Tuesday the library changes are made as a "complete redesign". 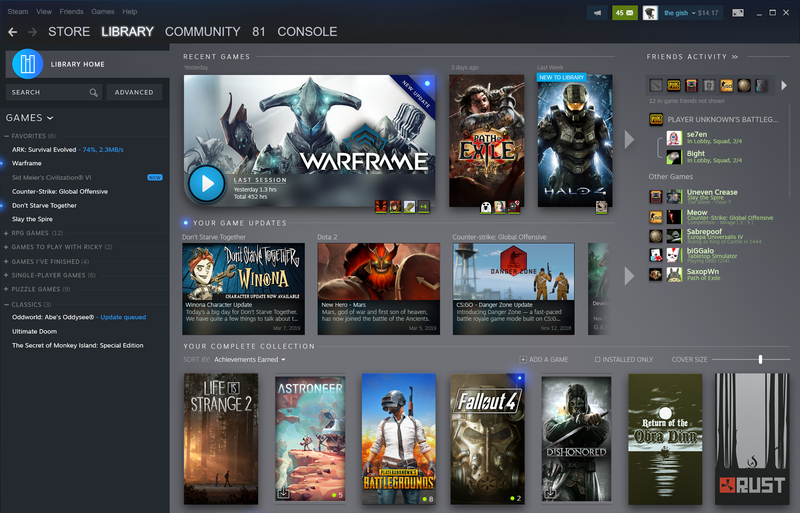 Users' Steam Libraries will soon have their own homepage, similar to the Steam Store homepage. This is shown above. 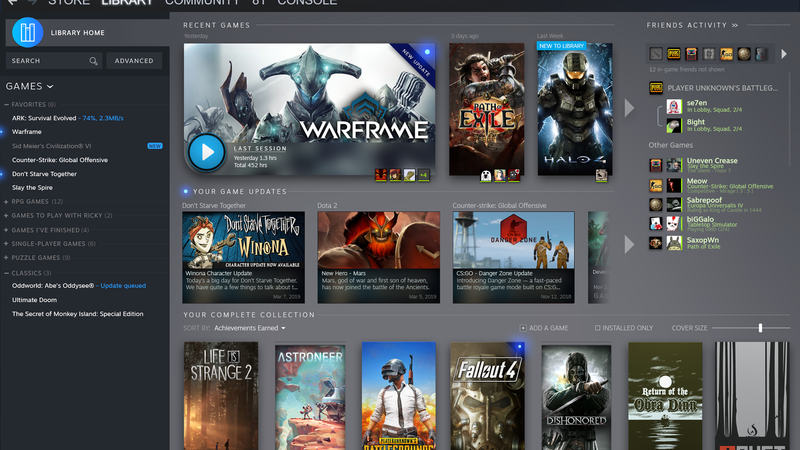 The Steam Library home page provides a carousel for game updates and events to keep players up to date on what's going on in their games. There is also a friend activity widget that lets you see what your friends (and / or lifelong enemies) are up to in each game. From there you can combine games with them if you want. Players will soon be able to sort their games using the same tag system that the Steam Store currently uses. All games that meet the criteria for a specific collection – Kroll, for example, used role-playing games from the open world – are automatically added to this collection. As a result, a lot of effort is avoided so that your colossal game collection does not break out of your figurative figure. The other major change that Steam expects to see in the near future is a robust event system designed to enhance Steam's functionality in this era of "live service games". Developers will be able to announce an event, say a tournament, a major update or a livestream of a major esports game – and players will be able to receive notifications about the method of their choice. Players can also set reminders for the events they can receive via email, SMS, phone alerts, Google Calendar, or other options. These items are all held together by an event home page for each user, depending on what games he has in his library. The page contains sections for recommended upcoming events, as well as "big" and "smaller" ones, as shown below. Valve provides developers with improved traffic measurement gauges so they can see for how many people actually arrive events – hopefully giving them a less constrained way to keep their player base healthy and grow over time. I'd imagine that this is especially useful for smaller multiplayer games where people are sneaked out of the gate with a clever idea, but quickly get lost in Steam's endless variety of consumer-developed consumption and lose big chunks of the player bases. The exact release date for these features is not yet known, but Kroll said they are currently in a closed beta and will appear in the open beta "in the next few months".